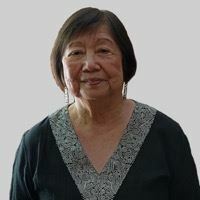 Professor, Pediatrics, Clinical Epidemiology, Social Medicine at Albert Einstein College of Medicine, Bronx, NY and Founding President, Philippine Ambulatory Pediatric Association, Inc.
Mutya San Agustin Shaw, M.D. FAAP is a Professor, Pediatrics, Clinical Epidemiology, Social Medicine, Albert Einstein College of Medicine, Bronx, NY and Founding President, Philippine Ambulatory Pediatric Association, Inc. Recognized internationally, she was key to the integration of medical education and training of physicians in the primary health care delivery system in the U.S. She established the Departments of Ambulatory Medicine, North Central Bronx Hospital and Primary Care Medicine at Montefiore Medical Center, University Hospital of Albert Einstein College of Medicine. She established the Primary Care Residency Program in Pediatrics and Internal Medicine at Montefiore Medical Center and North Central Bronx Hospital. She helped establish the International Pediatric Fellowship Program at Albert Einstein College of Medicine. As founding president of the Philippine Ambulatory Pediatric Association, Inc. she continues to provide guidance in programs focused on advocacy and coalition building. Dr. San Agustin received the following awards: Outstanding Alumnus for Medical Education, UPMASA; Bela Schick Award, Albert Einstein College of Medicine; Maternal and Child Health Services Award, Department of Health, Education and Welfare, Washington DC; Altran Foundation Scholarship Award, Albert Einstein College of Medicine; Community Leadership Award, Bronx Community Health Network, Inc.; and, Centennial Award as “Builder in Medicine,” UP College of Medicine. Mutya’s four children are all in the arts: Emmanuel, Ariel, Angela, and Joanna.